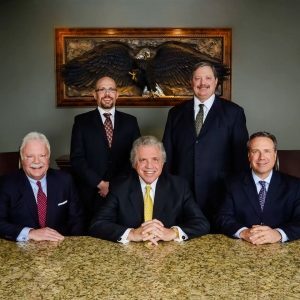 The personal injury lawyers from Richardson Richardson Boudreaux PLLC are dedicated to helping clients throughout Oklahoma reach the verdict or settlement that they may deserve after a serious accident or when they’ve been injured by someone else’s negligence or wrongdoing. Since our establishment in 1984, we at Richardson Richardson Boudreaux, PLLC have catapulted ourselves above the rest. We earned the distinction of being a leading personal injury law firm with experienced professionals and unrivaled results you can trust. Seeking a recovery is about more than just money: it’s about seeking the justice our clients rightly deserve. We remain available for evening and weekend appointments by request. We charge nothing unless we win for most personal injury matters. Fill out a form or call us at 918-492-7674 to get started.